Othernet (previously known as Outernet) are currently having a 50% off sale on all their products. This means that you can snag a discounted Dreamcatcher at only US$75, and a moRFeus at US$99. The sale expires midnight on the 26th. The sale is exclusive to RTL-SDR Blog readers (although feel free to share the coupon) and the coupon code to use at checkout is rtlsdrblog83759. Othernet can provide this service for free because they are funded by private customers whom they provide private data/audio satellite channels to. One such private customer is attempting to implement an Othernet based Tsunami early warning system in Vanuatu which would work even when the cell phone system fails in a disaster. Each siren is equipped with an Othernet receiver and LNB that receives the Othernet signal. The goal is to allow for any village to be able to set up their own low cost warning system. At the same time the Othernet Tsunami warning receiver is made use of in normal circumstances as it receives a satellite radio broadcast which is then re-transmitted to the village over regular FM radio. Currently the public service is in a test period and is only available in North America, but public service for the EU and possibly Oceania is planned to begin in Q1 2019. The rest of the world should eventually follow after. Some more information about the data service can be found on our previous post. 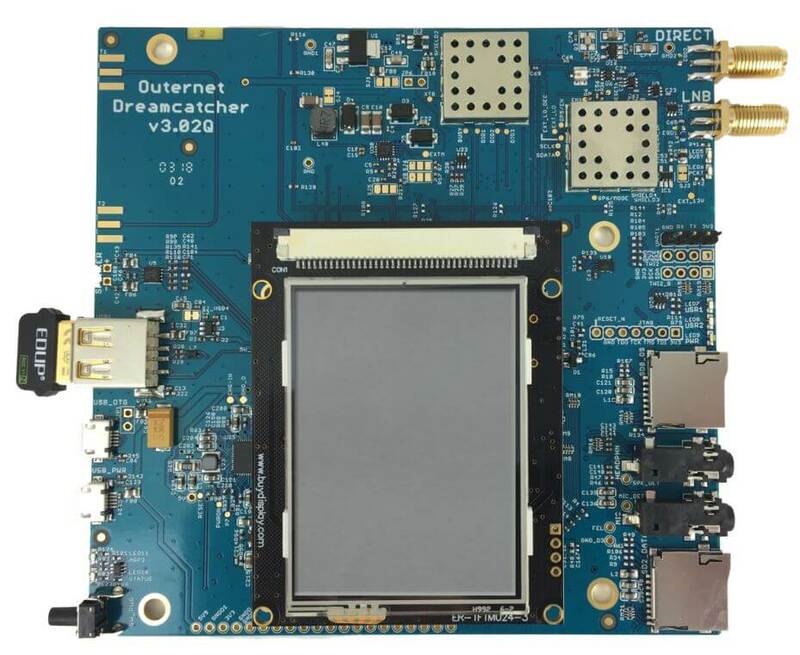 Alternatively, if you have no interest in the data service then your Dreamcatcher could also be used as a TX/RX capable LoRa radio. In a previous post we had some fun with two Dreamcatchers and a LoRa chat application. The moRFeus is a low cost signal generator. It's capable of generating a tone anywhere from 85 MHz to 5400 MHz, and it can also be used as a frequency mixer component for implementing things like homebrew upconverters and downconverters. In the past we've seen it be used as a tracking generator for measuring filters and VSWR, and users from the Othernet community have implemented custom GUIs to control it. Recently @sam210723 released a new very slick looking GUI too. Othernet's mission is to build a universal information service; a truly pervasive multi-media service that operates in the most remote places and functions even when nothing else does. In the past they ran a trial service on L-band satellite frequencies and used RTL-SDR dongles as the receiver. They have since discontinued that service in favor of a new Ku-band LoRa based service which can provide much more data - up to 200MB a day. The update released today was sent to Lantern backers, which was the receiver they crowdfunded for in their Kickstarter back in 2014. The update notes that the final iteration of the Lantern is close to being ready. Yes, we are still here. It’s been a long while since the last update, but that does not mean we have stopped–or even slowed–working on Lantern. We have been making progress, though it has been much, much slower than what everyone wants. Fortunately, we are in the final stage of development. The last update described the new network technology we had developed. Our original goal was to broadcast 20 MB of content per day, which is what we were doing with our previous network. The new system is operating at 10-times that speed, which is a little over 20kbps and 200 MB of content per day. Some of the work we’ve been doing over the past few months is related to tripling our current download speeds. Our target is 60kbps, which results in over 600 MB per day. The size of the device will be similar to a standard flashlight. At our current download speed of 20kbps, we are broadcasting both data and a 24/7 audio stream. I know many of you were interested in the educational applications that were highlighted during the campaign, which is why I’m very pleased to share that we are currently broadcasting the entirety of Khan Academy as a 24/7 audio stream. The Khan Academy library consists of over 900 separate lectures, which we’ve turned into a giant audio playlist. Now we just need to get Lanterns into everyone’s hands. The next update will include a picture of our final antenna design. 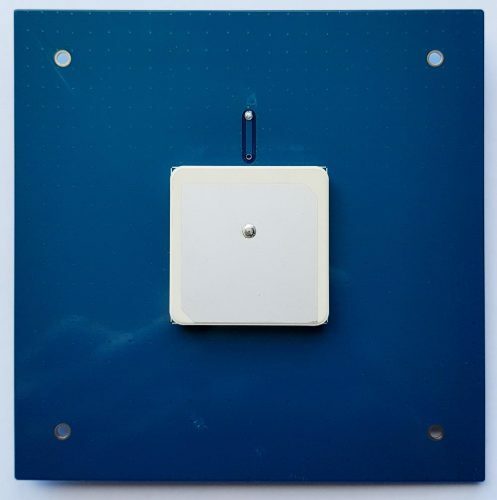 The antenna that is currently included in our DIY kit is 2-inches/5-cm across and the shape of a cone. We are trying to flatten the cone and also increase the size to about 4-inches/10-cm, which is what allows for greater download speeds. Since we are operating at microwave frequencies (12 GHz), both the design of the antenna and the parts to convert the high frequency to a lower one are pretty tricky. Microwave engineering is widely considered black magic, which is the main reason for the long break since the last update. We are close to turning the corner and are targeting the end of the year for our initial production run. Unrelated to our technical work is our recent name change. We had been fighting a trademark issue for the past four years. We recently decided that it made more financial sense to change our name, rather than continue spending legal fees to defend our position. We are now Othernet (http://othernet.is). This name change does not mean we are going away, nor does it mean we are not delivering Lanterns. It’s just a legal hiccup. Thanks for your patience and support while we get through the final stage of building what you all backed several years ago. I know it’s been a long time and we are making every possible effort to deliver something that exceeds everyone’s original expectations. Although it’s taking three times longer to develop and ship the product, what we now have will be ten-times more useful. 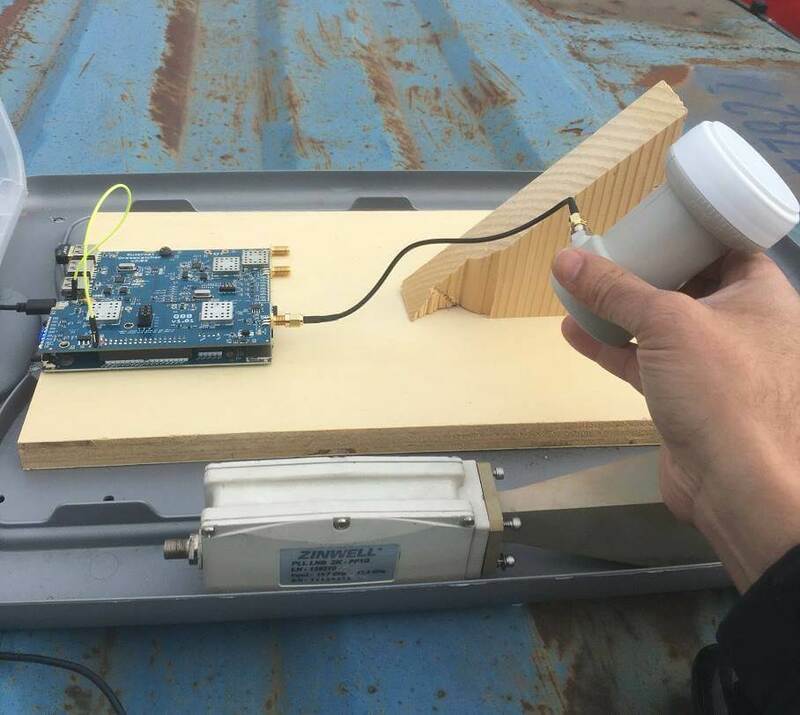 In the past the Outernet project operated on L-band frequencies, and for the service they manufactured a number of active L-band active ceramic patch antennas for use with RTL-SDR dongles. Outernet has since moved on to faster Ku-band delivery, and hence their old L-band antennas can no longer be used for their service. There are a few of these patch antennas left over in Outernet's stock and they are currently selling them on eBay for US $29 + shipping. Although no longer useful for Outernet, these antennas are still very useful for receiving other L-band services such as STD-C SafetyNET and AERO. SafetyNET is a text broadcast intended for sailors at sea, but contains many interesting and potentially useful messages for others too. Often they transmit data like military sea live firing warnings, reports of marine pirate activity, search and rescue reports, scientific vessel reports as well as weather reports. AERO is the satellite version of ACARS, and is used by aircraft to communicate with text messages to and from ground stations. L-Band AERO signals only contain information from the ground station up to the aircraft. For air to ground you'll need a C-band receiver set up. AERO is the satellite communications protocol that was so heavily centered on during the MH370 flight disappearance investigation. 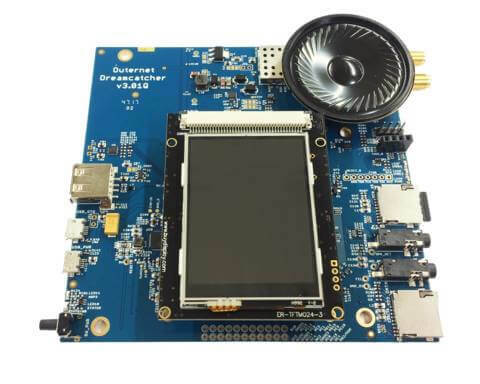 In the past we've reviewed the Outernet L-band ceramic patch and found it to work very well. Certainly STD-C and AERO signals are easy to receive with the antenna if you point it at the satellite. 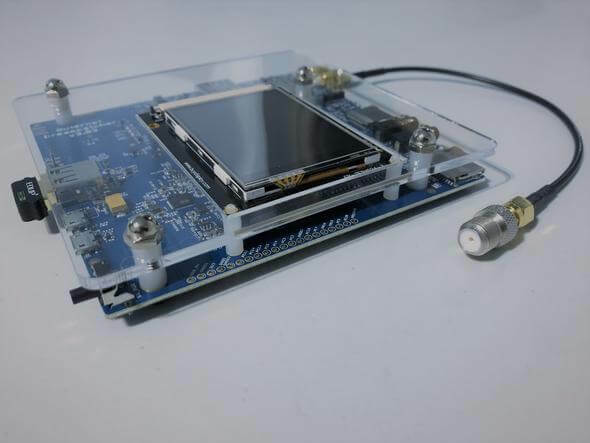 The antenna requires bias tee power and can easily be used in combination with the bias tee on our RTL-SDR V3 dongles. The onboard filter helps reduce problems from interfering signals, but restricts reception to 1525 - 1559 MHz, so Iridium signals cannot be received with this antenna. The L-Band Active and Filtered Ceramic Patch Antenna. 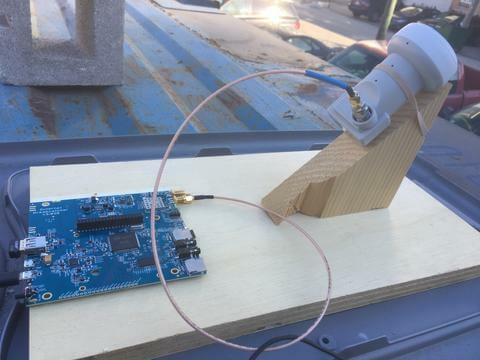 Over the past few years we've posted quite a bit about Outernet who offered a free downlink of satellite data such as news, Wikipedia articles and weather updates that was able to be received with a small L-band patch antenna, LNA and an RTL-SDR dongle. Recently we've seen news on their forums that Outernet is planning on discontinuing their L-band service, and instead opening up a new much more efficient Ku-band service. Unfortunately that means that RTL-SDRs and the previous Outernet L-band hardware will no longer be useful for the downlink, but the new service appears to offer several significant advantages. Firstly the downlink data rate is much higher at 30kbps, with the plan to eventually go up to 100kpbs. That's 300MB - 1 GB a day which is a lot more compared to the previous L-band implementation that gave less than 20MB a day. Secondly the hardware seems to be simplified as well. 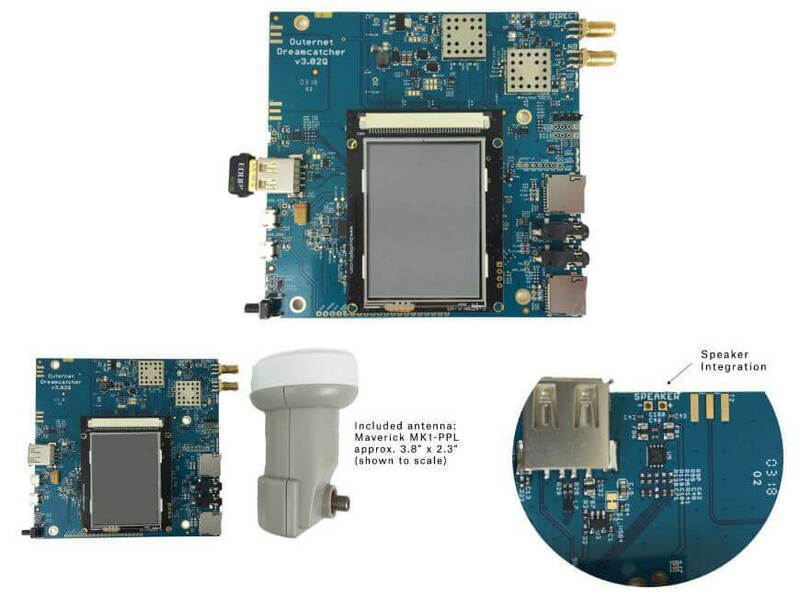 All that is needed is their new Dreamcatcher V3 receiver board and a small Ku-band LNB (11.7-12.75 GHz). They claim that no dish is required as the LNB pointed at the satellite by itself will work just fine. The first iteration of Outernet also used Ku-band satellites, but required a large dish antenna to receive it which was a major hurdle to user adoption. They now appear to have discovered a new way to broadcast in the Ku-band without the need for a dish. Thirdly, moving to Ku-band means significant cost savings for Outernet allowing them to survive and continue with their free data service. From what we understand the L-Band satellite downlink service is extremely costly to run, whereas a Ku-band service is much cheaper. There are also cost savings for the user as Ku-band LNBs are very common hardware that can be found cheaply for $10 - $20 US. 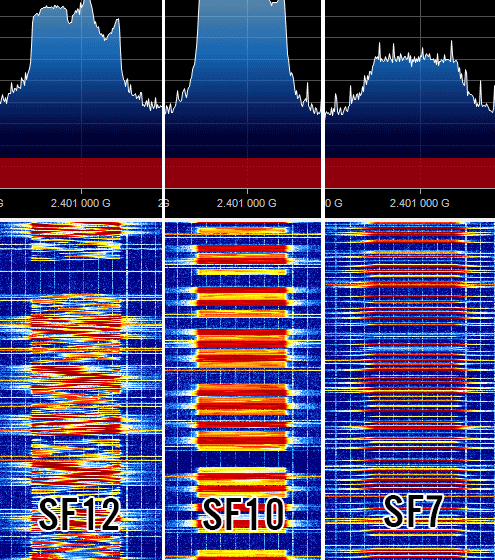 The fatter pipe [300MB - 1GB] makes a lot of things possible, one of which is a true radio broadcast. How about a national radio broadcast that isn't SiriusXM? Our new receiver will include a speaker; audio through the speaker while files download in the background. But more data is not the most important thing that comes out of all this. The real win is that leasing standard, commodity Ku bandwidth is far, far more cost effective than the few kilohertz we have on L-band. Long-term sustainability of a free broadcast is no longer the financial burden that it once was--especially considering how much more interesting the service becomes. There is no concrete hardware release date just yet, but on the forums Syed estimates mid-Jan. You can sign up to the Outernet mailing list on their buy-now page to be emailed when the new hardware is released. In the forums Syed also writes that the target price for the hardware is $99 US, with the intention to provide lower cost options in the future. 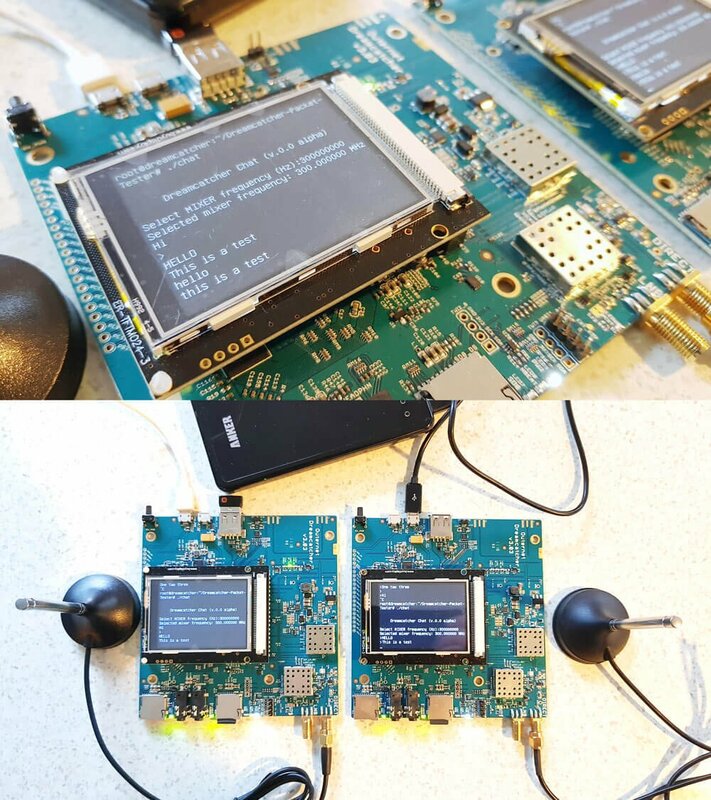 Of course it might still be possible to DIY your own unit just like it was with the previous Outernet iterations. We're really looking forward to this and think that this is what will finally make Outernet a very popular and useful service!